Itse Sagay Fires Back At APC Leadership, Says They Are "Come & Chop Politicians"
The war of words between the leadership of the All Progressives Congress, (APC) and the Chairman of the Presidential Advisory Committee on Anti-corruption (PACAC), Professor Itse Sagay (SAN), continued yesterday with Itse Sagay referring to Oyegun and other leaders of the party as "Come and Chop" politicians. The war of words started last week when Sagay in an interview with The Nation, referred to APC as a Failed party whose leaders are weak and lily-livered. Read here. 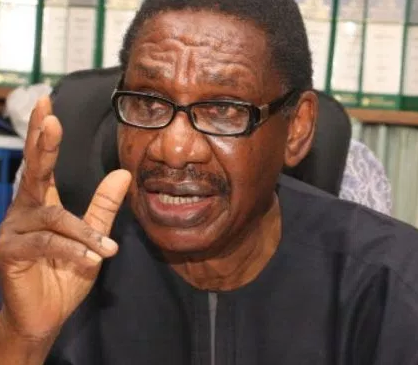 The party through its spokesperson, replied Sagay, describing him as a "rogue elephant" who President Buhari dragged out of his inevitable obscurity. Read here. Sagay has now reacted to the party's statemen. According to him, he is an accomplished man who does not require an appointment unlike the party leaders who are come and chop politicians.